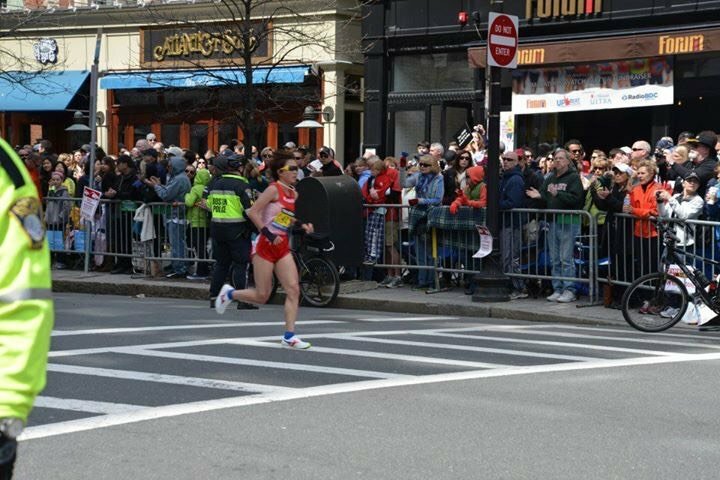 We’ve been told that Tamerlan Tsarnaev and his younger brother Dzhokhar, are guilty of detonating two bombs at the Boston Marathon finish line on April 15, 2013. 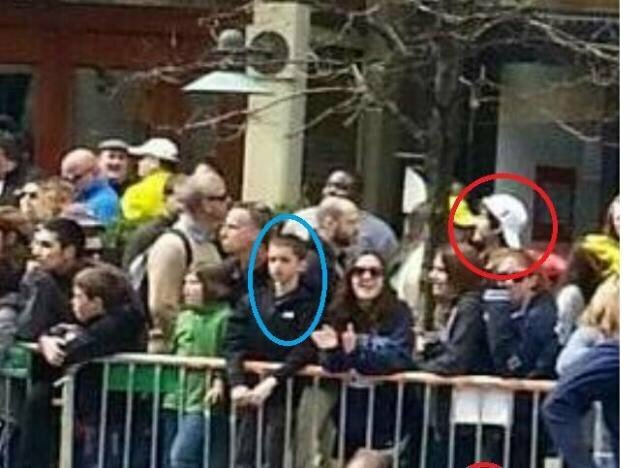 After such a long trial, followed by lengthy sentencing and penalty phases, are we any closer to knowing what really happened that day? 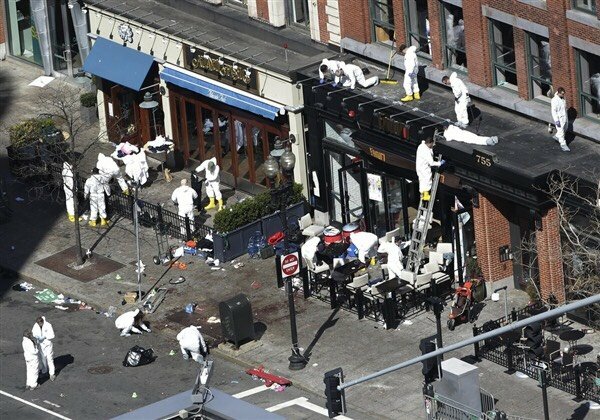 As we will demonstrate, there is a strong forensic case to be made for Dzhokhar ‘s innocence. 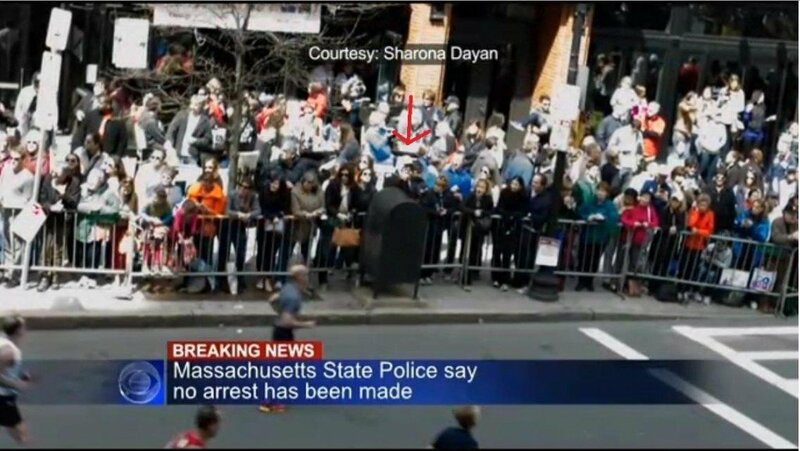 This same image is also used as the prosecution’s ‘trial exhibit #29′ showing that the backpack Dzokhar allegedly dropped off (note that there are no clear pictures showing him dropping off the bag or any pictures of the bag present after Dzokhar left. 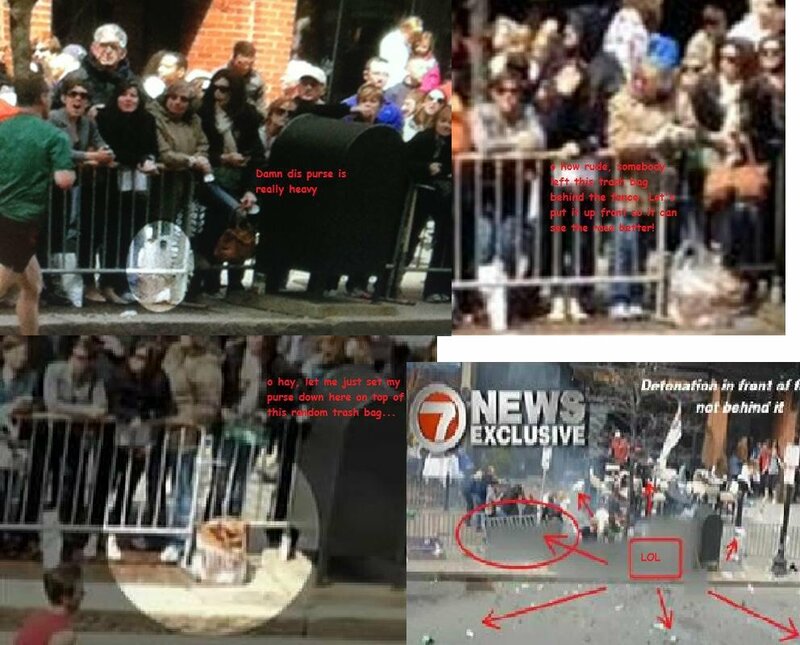 There also isn’t any real video of him dropping the bag off as the media previously indicated). 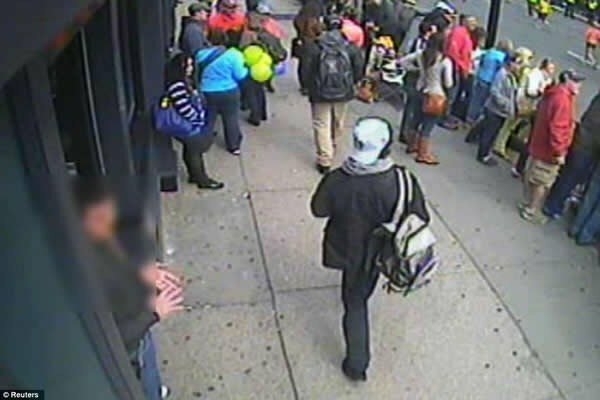 The backpack appears to be black, and therefore doesn’t match the one he had previously. 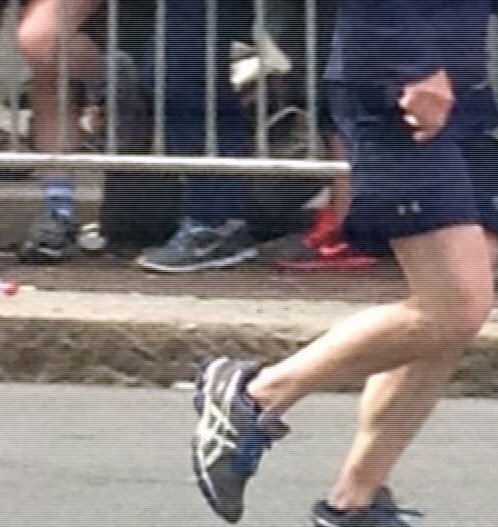 In actuality, we cannot tell if this black bag had anything to do with Dzokhar at all. 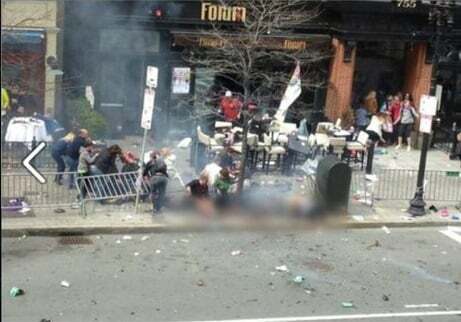 Look very closely at this picture (below), which shows the scene immediately after the blast. First of all, the fence to the left was blown backward. 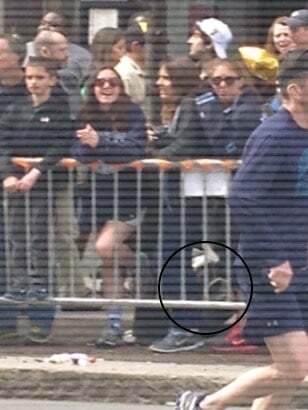 The small piece of fence remaining near the mailbox was ripped apart exactly where the garbage bag/ purse was located. The bigger piece of fence is missing but is in the road and was likely blown straight up/ and or possible ricocheted off of the tree and into the road. Only the front left corner of the mailbox has close contact explosive burns and not the back left corner which is what you would expect if the blast came from the tree area( look very closely). 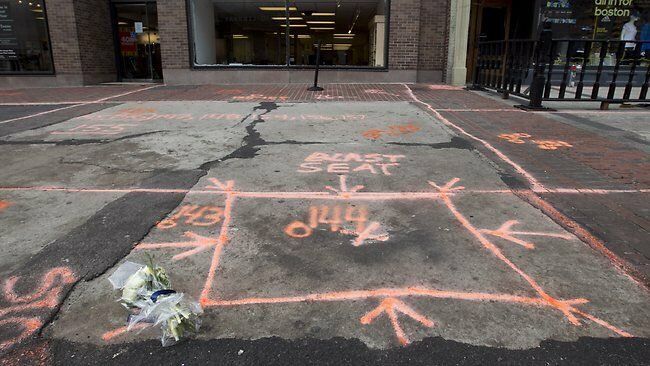 This picture of ‘official’ blast spot doesn’t make sense in comparison to the blast evidence, specifically with regards to damage and direction. 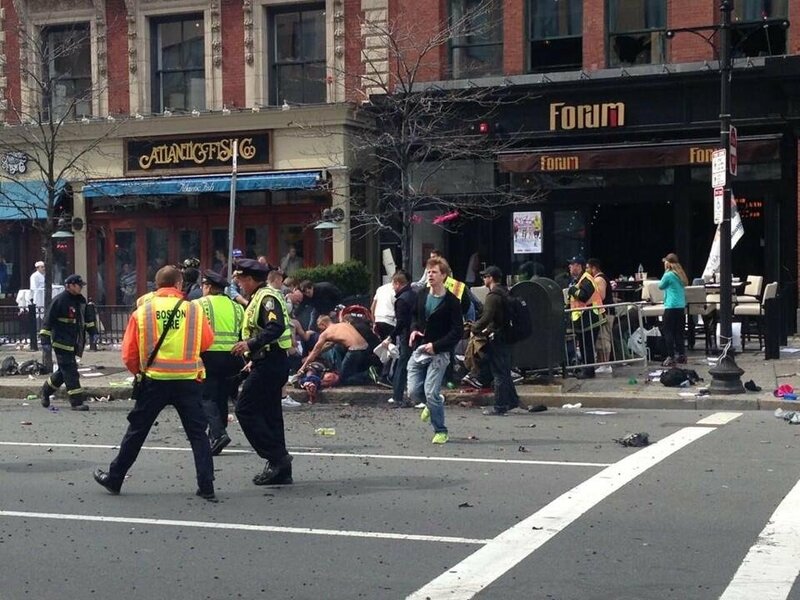 Notice from this image how there appears to be no evidence of detonation from the “official” blast zone in this picture (Photo Item 11). Note also how the tree is already cut down, so quickly after the incident. 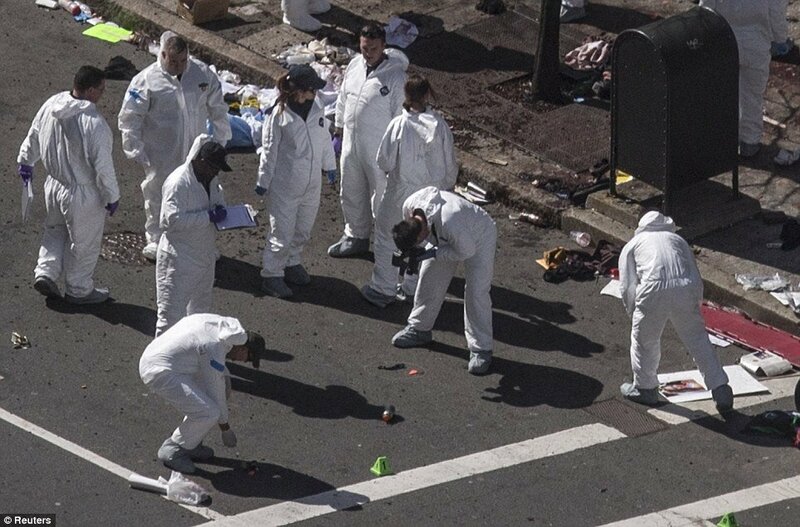 However, notice the extreme black/burn marks where the purse/garbage bag would have been that the man kneeling down in the white CSI jumpsuit is working on cleaning(look close). 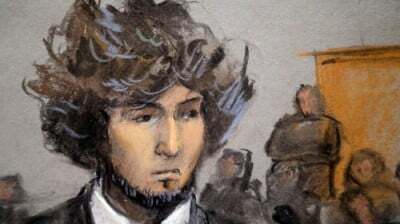 The lead defense attorney should have at least presented this evidence to try and prove reasonable doubt for acquittal. From this it becomes self-evident that no real attempt was ever made by the defense attorney to put on a case for the client at all.